Chalupa or Carnitas | The Happy Wonderer ~ ellen b. Heat 2 tablespoons of oil in pan and sear boneless pork on all sides. Put all ingredients in dutch oven or crock pot, placing the seared meat on top. Cover and simmer about 5 hours or until roast falls apart and the beans are soft. 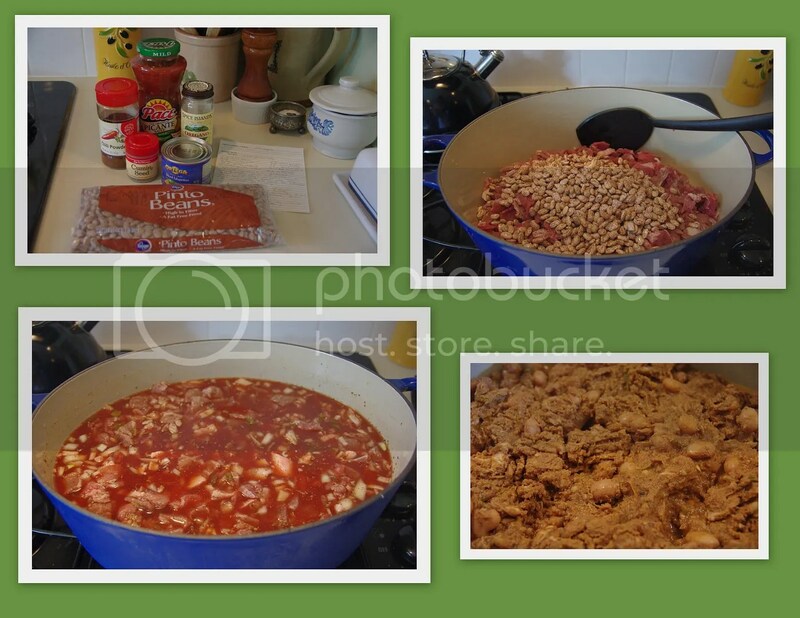 Uncover shred the meat and cook to thicken to desired consistency. If using a crock pot cook on low for 8-9 hours. Check after 5 hours to make sure the beans haven’t absorbed all the liquid. Add 1 cup water at a time if you need to. After the meat is cooked and beans are soft shred the pork. Enjoy this meat with corn or flour tortillas and with toppings of your choice. This would also work well wrapped in a small flour tortilla and deep fried. I’ve seen Chalupas on Mexican Restaurant menus served in this deep fried form. 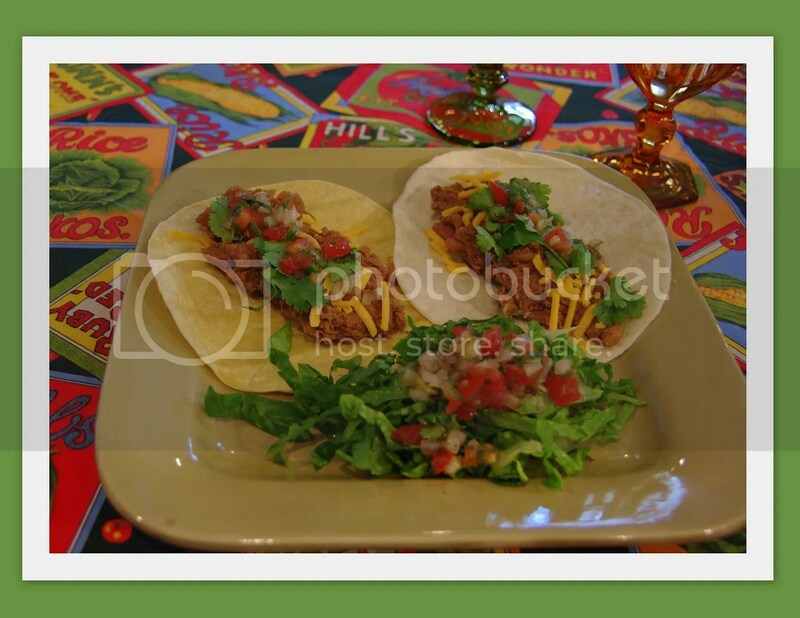 Posted on August 8, 2011 by Ellen •	This entry was posted in Recipes and tagged Carnitas, Chalupa, Slow Cooked Pork. Bookmark the permalink. I love Mexican food…my very favorite. We have a place here that is our favorite place to eat. I don’t think I’ve ever known you could fry a Chalupa. I’ve only seen them served open face. I am dying for a fried one now. Pingback: Hello March Five! | The Happy Wonderer ~ ellen b.